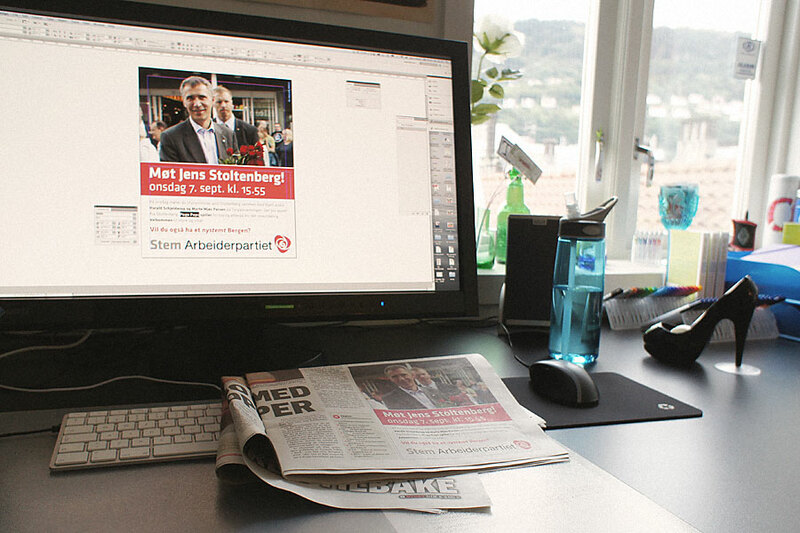 There’s an election in Norway next Monday and two local parties are my clients. 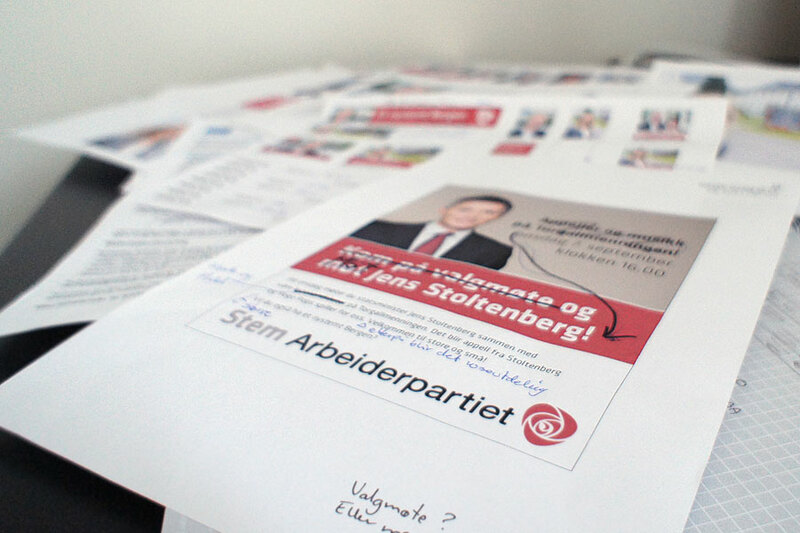 So I have loads of stuff from the election campaigns to post, when I find the time to document it. 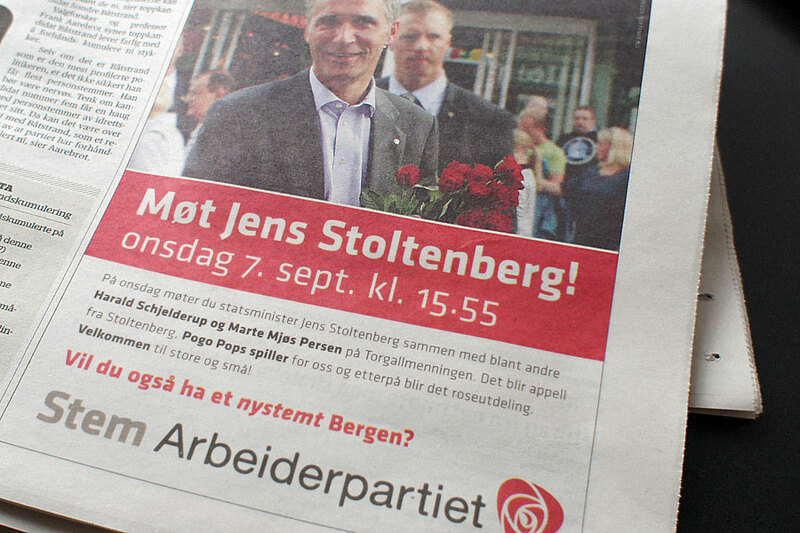 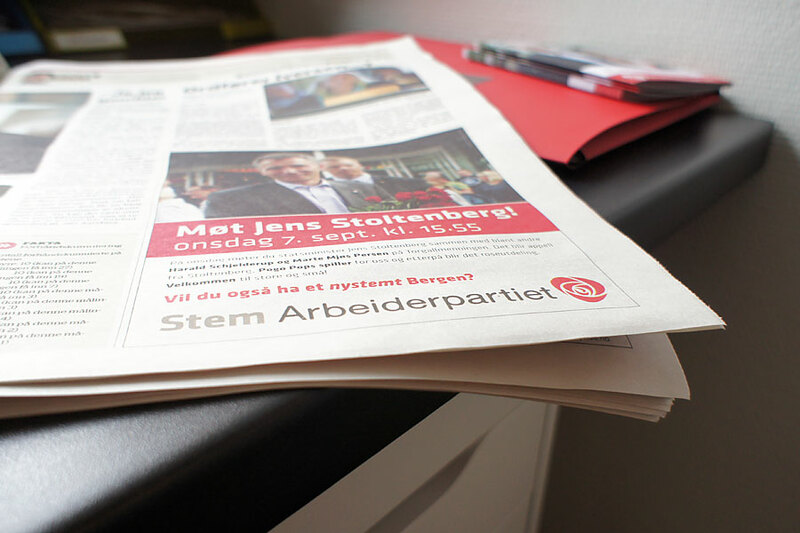 The Norwegian Prime Minister Jens Stoltenberg is coming to Bergen tomorrow and I did this newspaper ad. 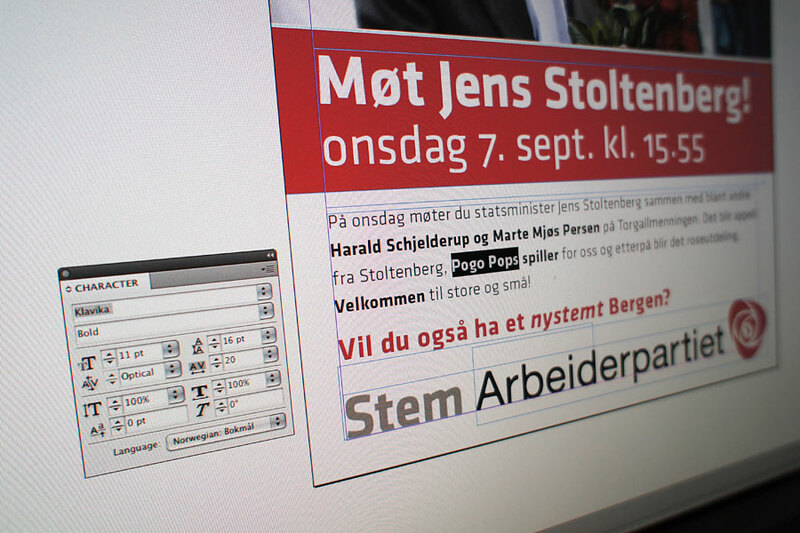 Designing it made me just a teeny bit starstruck, I’m not used to famous people appearing in my InDesign.